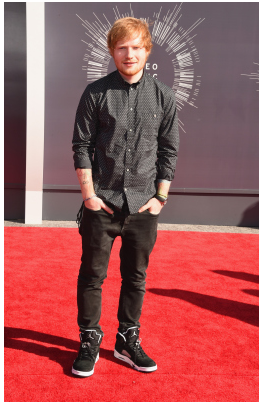 Here we go, reviewing the must-see looks of the 2014 MTV Video Music Awards. Looks like Ariana Grande went edgy for this red carpet, way edgy. But, I guess it works when it compares to “Bang Bang.” And look, her hair’s the same– I predicted that right! Could that be Miss Taylor Swift? I knew we’d see a more pop version of the songstress tonight, and that’s what this romper/bodysuit/leotard (what do you call it?) calls for. It does look a little… dull. She needed some element of bling to stand out. Now, it just looks like she’s headed to dance class. Chloe Grace Moretz must be sweating in this. Seriously, this is in L.A. and we can tell it’s sunny—just look at her shadow! So, why would you put a young girl in long sleeves and long pants in August? But, it’s very preppy and well-tailored and I love it. Perhaps it’d work better on an older star? Last time we saw Miley at the VMAs was when she “danced” all over Robin Thicke. But, now she’s back again and looks very lackluster here. This seems like a street outfit for her, not a red carpet look. 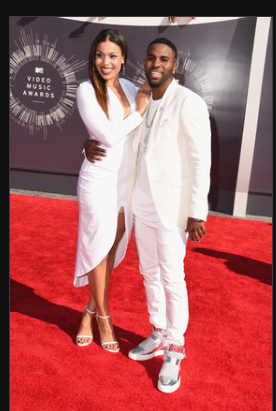 Jordin Sparks looks good in this tailored white number. Speaking of, will she ever become known for more than just Jason Derulo’s girlfriend anymore? She has such a good voice from what I remember. JONAS SIGHTING. Nick, and supermodel girlfriend, were on site and he rocked a navy plaid suit. Still the cute Nick we hard-core crushed on in middle school. I-G-G-Y is here in this gorgeous gown. Normally, I’d say gowns are to formal for MTV events, but this is an exception. It’s edgy enough with the chains and different enough that it looks good on her. ED! Looks like he brushed his hair, for once! (Inside joke from when I met him.) Looks very chill, which matches the tone of his music. Have you heard multiply? Well, you should. PLL star Lucy Hale. Okay, I love her and her fashion, and even this look. However, she’s too petite for this long skirt. Don’t get me wrong I love the skirt and the crop top together, it’s just a problem us short girls have, especially with a wider skirt like this one. Former Bachelorette and current E! host Ali Fedotowsky: I like it. The pantsuit, the giant necklace– I really think it looks good and fits the VMAs. If I’m right, and she’s there as a journalist, then I think she’s perfectly dressed for the award show. Here’s the thing: I love this dress. It’s super couture and perfect for the VMAs, however, I just don’t love it on her (Ashley Rickards). And the shoe choice: it’s way too formal with the dress and for the nature of the event. A strappy heel would have been much better. 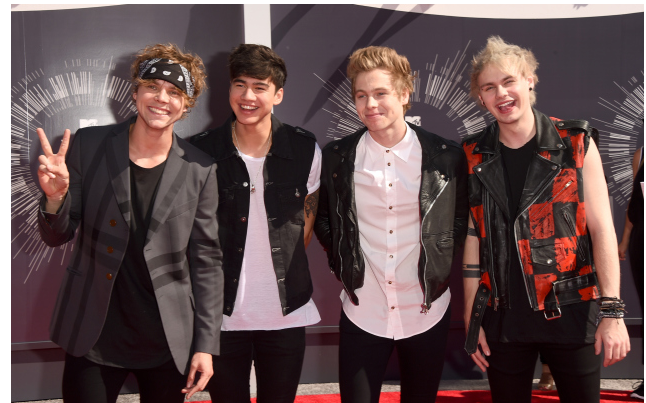 5 Seconds of Summer makes their VMA debut. Do you think they were given one blazer and one oxford to “dress up a little” and the rest just had to improvise with stuff from their own closets? I’m mean, actually though. And while, I’m at it: what is with the bandana in the messy flop of hair on Ashton at the end? Just no. Alright, what do you think? And head over to MTV to watch award show live. « Theatricality is a must at a Katy Perry concert.